The modding patch has now been released to all! A lot of work has gone into the modding patch and now it's ready for a beta test. We've decided to do a semi-private beta for the first tests. Users who want access to the test must PM me (Minimaul). To send a PM, click on my name or avatar to the left of this post, then click on "Start a conversation". Your PM must contain the following exact text. Read it and understand it before you send it to me. Once your PM has been sent and I have read it, you will be sent the code to access the beta in a PM. I understand that the modding patch uses different save games to the original game. I will take a backup copy of my original saves (stored in "Steam\userdata\<your steam ID>\206420\remote") before I use the modding patch as once they have been upgraded they will not work on the original game. I understand that the upgraded saves are not currently compatible with Saints Row: Gat out of Hell. I understand that the modding patch beta will have bugs and known issues. When reporting a bug, I will follow the instructions in the modding beta forum and provide as much information as possible. 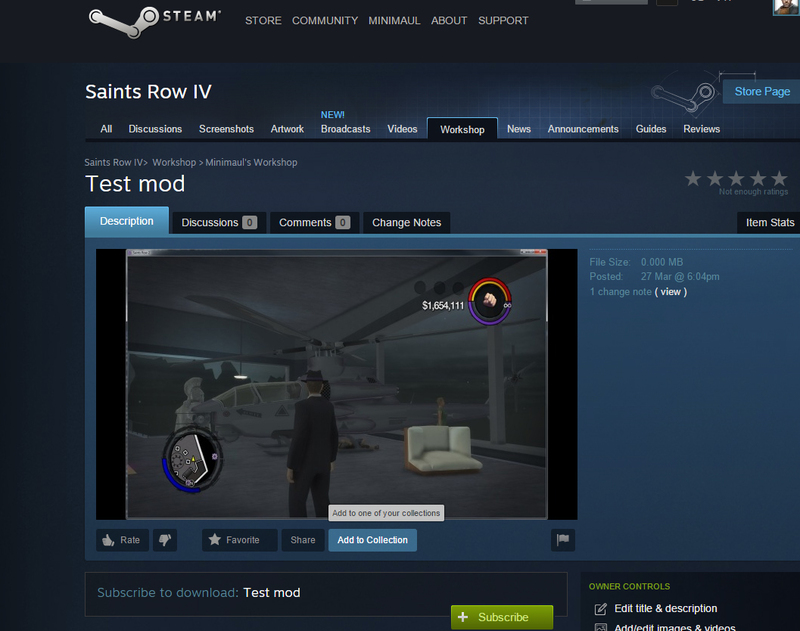 I will not share the modding patch code with anyone who is not a modding patch tester. The modding patch forum is open for everyone to read, but only people who have access to the beta itself can post or create new threads. pleasegofuk, Breakingspell, Corrodias and 2 others like this. What does the modding patch do,Minimaul? The patch is the first push towards an actual mod packfile format for the game. 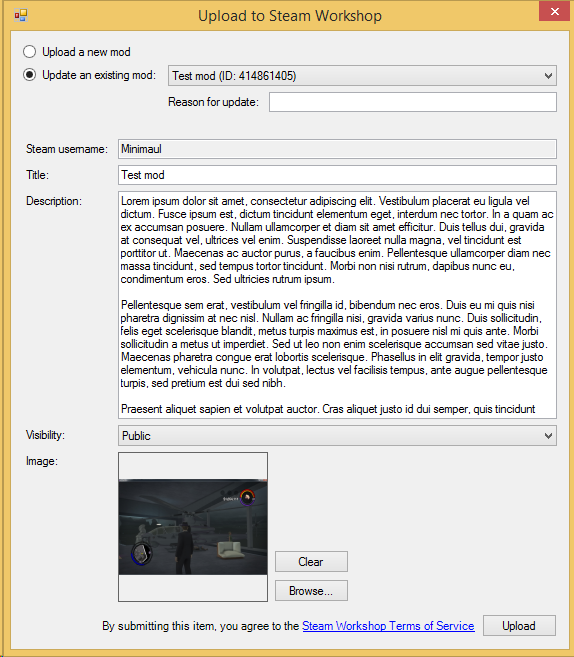 It allows modders to release a single packfile that contains the modifications they want to include instead of a bunch of files that clutter the main folder. This helps keep mods organized and also prevents a lot of the conflicting mod table file problems. It also removes many of the memory limits of the game so that mods can add lots and lots of things to the game without fighting with the limits. That's a big part of the beta; to track down all the remaining limits so we can remove them. pleasegofuk, aceman0000099, Admixon and 4 others like this. I remember a while back Idol posted an in-game menu that would allow you to maintain your mods somehow. Is that going to be included in the future or has that been replaced by Steam Workshop? If you're talking about the screen I believe you're talking about then that was just some interface that mods could hook into in order to get things like settings displayed. Blackbird, smashbro596, Admixon and 5 others like this. pleasegofuk and Voit-Shao like this.